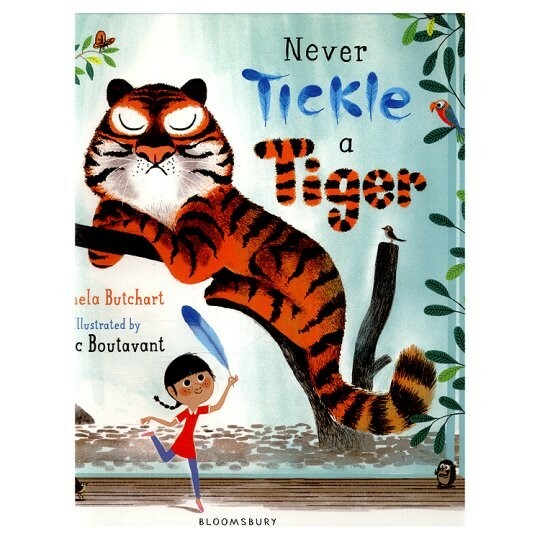 Today we have another wonderful picture book author who’s sharing her tips on plotting. 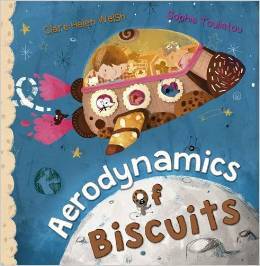 I’m excited about Clare Helen Welsh’s release, Aerodynamics of Biscuits, and thrilled that she’s willing to share her expertise with us. Welcome, Clare! Those of you who read my interview with Minty author, Christina Banach, will know that plotting is not something I consider a strength of mine. I often start with a title, like to write spontaneously and would definitely describe myself as a ‘pantser’ as opposed to a ‘plotter;’ a writer who “flies by the seat of their pants,” meaning they don’t plan out anything, or plan very little (@Magic_Violinist, themagicviolinist.blogspot.com). So who better to write about plotting than someone who doesn’t believe in it/ isn’t very good at it? Thus, here I am! 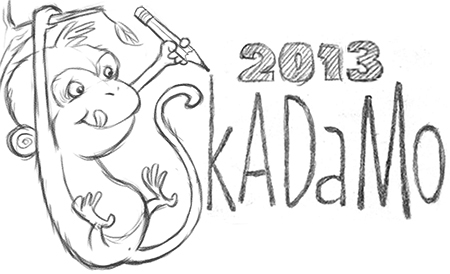 Taking a deep breath… and jumping head first into the mind field that is picture book plotting. This is by no means the only way to work but it’s served me well so far: How to plan the perfect picture book without losing the sparkle. There are lots of different plotting tools out there and the story arc seems to be as good as any, designed to streamline plot and ensure pace. But is planning every twist, turn and line before you start really necessary? 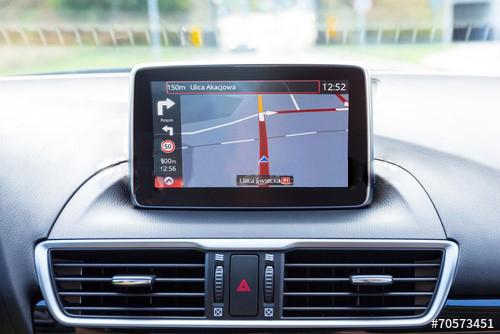 Knowing your route inside and out is great on a long car journey but what about for a 32 page plot? 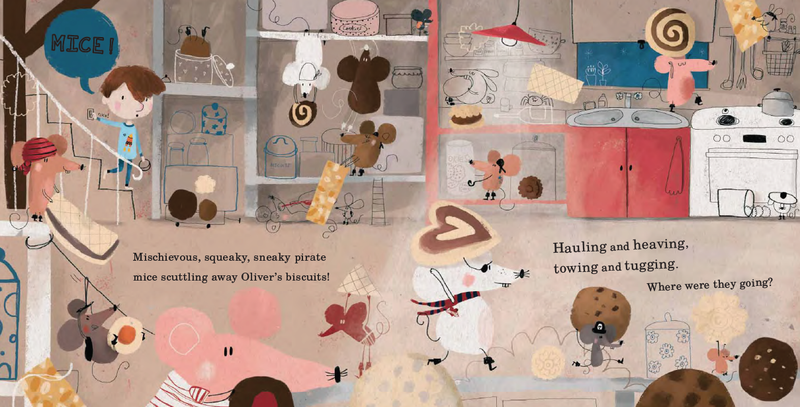 My theory is that planning your picture book in this detail before you start, will almost always result in a forgettable idea that’s been done many times before, since you are drawing on the inspiration from your outer most periphery of your brain. This is where the stereotypes and clichés lie. For example, a bear in a wood, a pig in mud. So where do the juicy, uncharted, award winning story ideas live? To come up with something that has never been done before you need to bring together ideas that don’t normally go together, for example, a bear on the beach, a pig in an ice rink. Have you ever tried starting with just a premise? 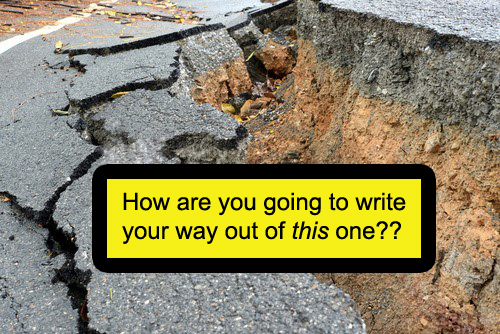 Ever picked up your pen and paper or word processing tool and begun your story without a map? You won’t know what’s going to happen from one to line to the next, but it will force you to think ‘outside the box’ and fingers crossed, you’ll come up with something original. Pamela Butchart, author of Never Tickle a Tiger plans in this kind of way. She says she mostly knows where her story is going, but it allows for her characters to surprise her! However, it is important to keep the ending in mind. It might change as your story develops, but knowing your story outcome will help keep you and, your characters, on track. 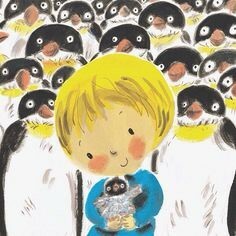 It’s worth also mentioning that if you’re an author-illustrator like Helen Stephens, your story premise and ending might be visual. Helen’s inspirations come as one clear image. Working in this way, you will inevitably come across some big, back all-encompassing plot holes, big enough to swallow your motivation in one fail swoop and stop you and your story in its tracks. Lucky you! For me, this is where the magic happens! Plot holes are an opportunity to break through the clichés and come up with a completely new idea like a bear in a train station (Michael Bond and Peggy Fortnum’s Paddington) or like a pig in a pond (Pig in a Pond by Martin Waddle and Jill Barton). If you listen to your characters, take risks and change route, even if it means rethinking your initial plan, your diverted story arc might well be more exciting, engaging and probably a lot more original, than your initial take on your theme. And then comes the editing, which is essentially plotting in reverse. Whether you plot a lot, a little or not at all, your finished journey needs to leave the reader feeling fully satisfied. Now can be a good time to come back to your story arc. You’ve captured your original picture book sparkle, so now ensure the pace is such that we see trials, tribulations and disasters! Make us feel like there’s no way the main character is EVER going to reach their story goal; add in obstacles, heighten the tension, and then whip out your powerful, perfect resolution at the very last second, leaving us fully resolved and ‘wowed’ with the perfect pay off… so much so that we want to read it again.. and again, and again! I wish you all a treacherous, eventful and holey writing journey to your perfect picture books! I’d love to hear more about how you plot your stories. Please feel free to share your experiences. Are you a plotter? Or a panster? Or perhaps a bit of both?! Thank you, Laurie for the ‘plotting’ challenge and for the opportunity to blog as a guest on your site. Thank you for being here, Clare, and for sharing such great information. Looking forward to your release on September 28! 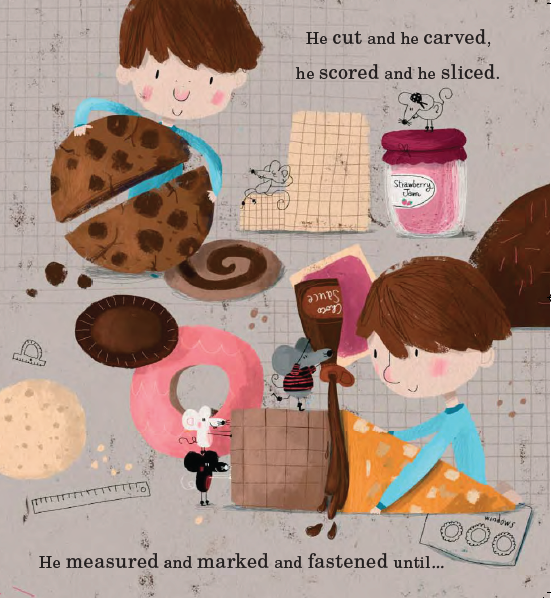 Aerodynamics of Biscuits features Oliver, a five year old boy who sneaks downstairs in the middle of the night to find pirate mice stealing his biscuits! 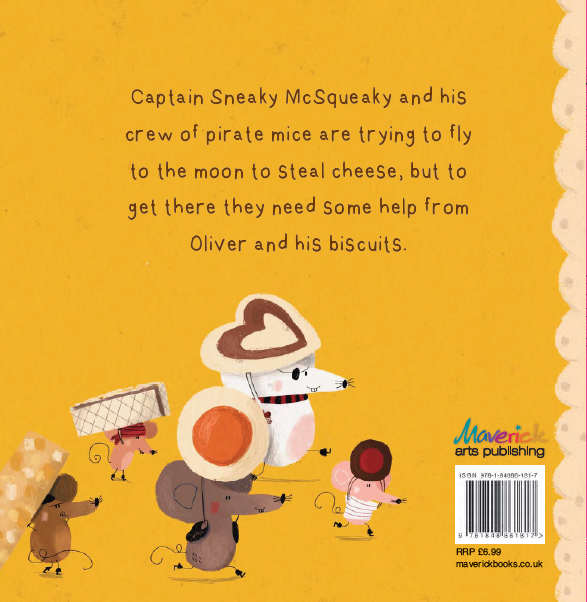 But Captain Sneaky McSqueaky and his crew are not eating Oliver’s biscuits… they’re making rockets! Aerodynamics biscuit rockets to fly to the moon to steal cheese! Ahhharrrr! The book can be purchased in bookstores, through the publisher Maverick Books or on Amazon. Clare lives in Devon with her husband and two children. She teaches in a primary school and has over ten years experience in Early Years and Key Stage One. In 2014 she became a Specialist leader of Education, supporting local schools to achieve high standards in phonics, primary languages and the Early Years Foundation Stage. 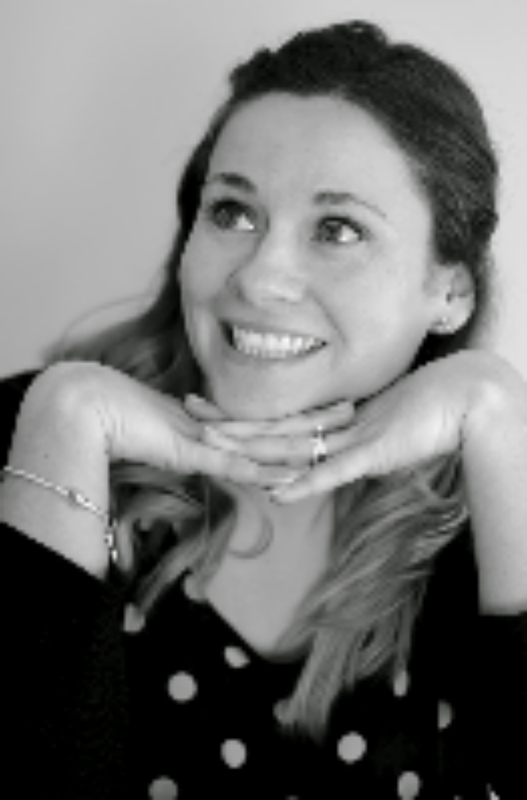 In 2013, Clare won The Margaret Carey Scholarship for Picture Book Writers and she received Silver Medal at The Greenhouse Funny Prize 2014 for her picture book, Aerodynamics of Biscuits, which is illustrated by Sophia Touliatou and due to be published by Maverick Books in September 2015. Clare is represented by Alice Williams of David Higham Associates. Find out more about Clare on her website, Facebook, and Twitter. I love reading about the writing processes of other authors. I often start with a title also but I then have to plot things out before writing. I envy ‘pantsers’. Looking forward to reading your forthcoming book, Clare! What a wonderful discussion on your process, Clare! Thank you for sharing this! Thanks for sharing these excellent tips and insight into your process. Congratulations and best of luck with your upcoming book launch! I like your idea of using plot holes as opportunities. Congrats on the upcoming book! Found your blog as part of the WD October Platform Challenge. I began writing in high school, fizzled out a little, then got back into it while raising my two children. As a homeschooling mom, I created LOTS of orignal games,activities, and while the creative sparkle sparkled brightly, I put my ideas down into stories and poems for children. 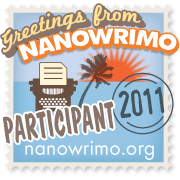 I didn’t really submit those, except for one story…rejection, rejection, rejection. I didn’t let it stop me though, but I did move on to writing non-fiction and that’s where I am today. Anyway, LOVE this post about plotting ergh, not plotting. Tried both, and although I’d love to be a plotter, I’m just not. Great advice, though as I do find myself reaching for that picture book sparkle every so often when an idea pops into my head. These are just some of the things we used to do during the summer months-these were great activities that were not only fun, but also served as “real” school days for our log. Wishing you continued success in your writing career. And, I’m definitely going to spend some time perusing your site. LOTS of good stuff here!! Thanks for stopping by, Karen. Good luck with the challenge. Thanks for sharing. Using plot holes as opportunities is an intriguing idea – I should try that the next time my mix of plotter and pantser doesn’t quite work out.